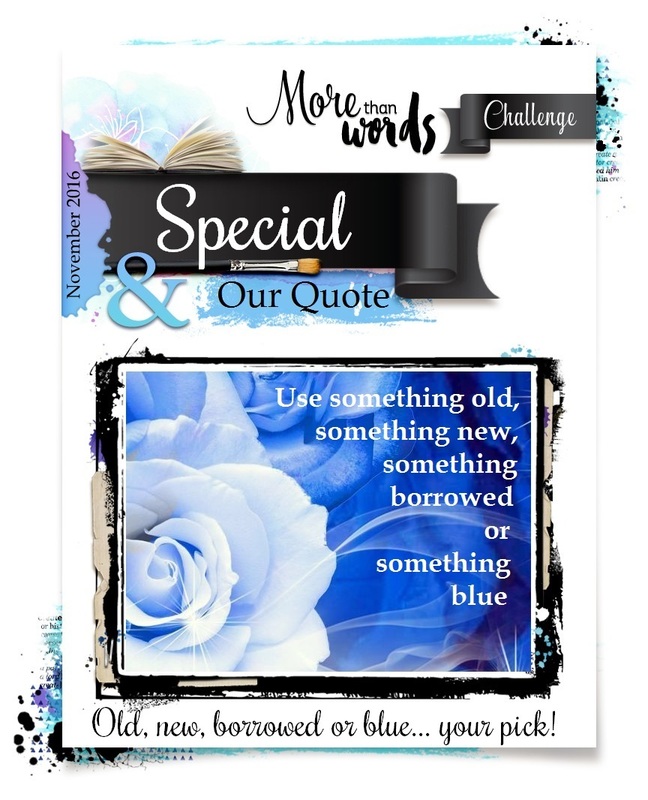 The Word "special" inspired me a layout about my oldest daughter because she is so very special to me (as my youngest) ! I used an embossed white paper for the background (DCWV), with Stargazer Minx, Raider Colorations spray and Ink Spot Colorations spray by Art Anthology, very old black lines rubons, a 12x12 stencil by TCW with light modeling paste, and silver stones (glued one by one !). Title is an epoxy word by Heidi Swapp, and picture is matted with DCWV papers (jet Black and Copper Blues stacks). Did you notice the change of my blog's template ? I hope you like it more... If not let me know ! A fabulous interpretation of our challenge. Love the whole graphic feel of this. Just fabulous. Thanks for playing along with us at More Than Words. 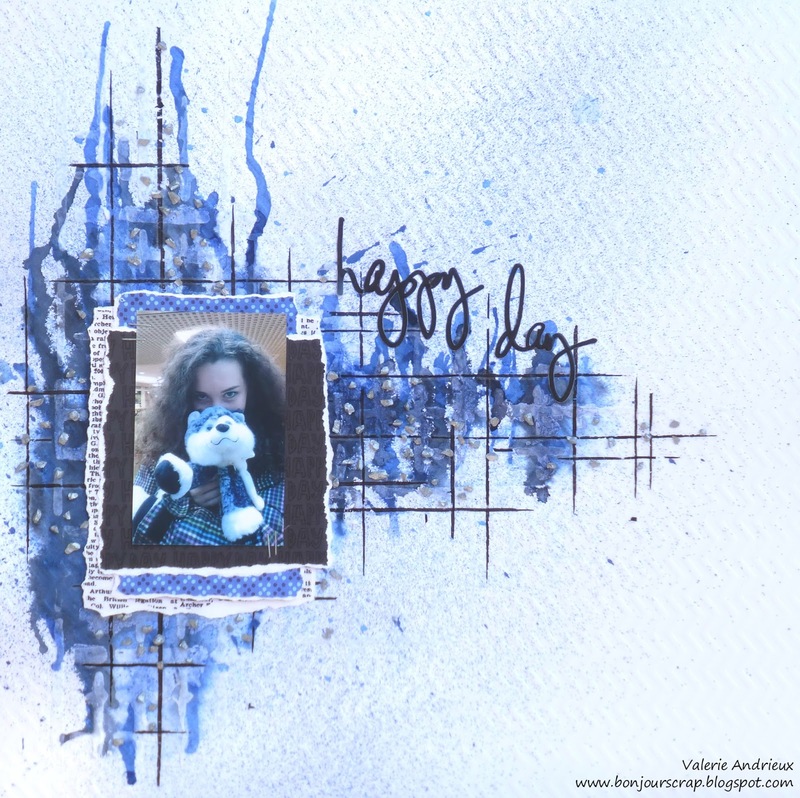 Fantastic page Valerie !! Perfect work !! Thank you so much for joining us at More than Words !! Awesome background! I love it! 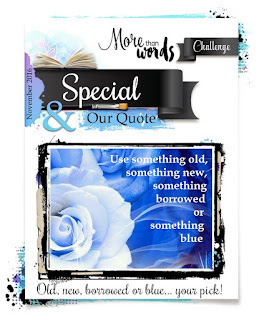 Thank you for playing with us at morethanwords challenge. I love what you've done here! It's stately, not fussy, yet impactful. Thank you for joining us at More Than Words this month. This is fabulous! Such a perfect interpretation of the challenge. Thanks for joining us at More Than Words. Thanks for joining over @ More Than Words!!!! Thank you all Ladies ! Oh so much texture on this one! I love it! Thank you for playing along with us at More Than Words! Thanks ! Wish me luck !